Bee Gees star Robin Gibb is still in coma after suffering from pneumonia, his official website confirms. Robin Gibb, 62, has been recovering from cancer in recent months, but was too ill to attend a performance of his new work a few days ago. “We are all hoping and praying that he will pull through,” his website said. 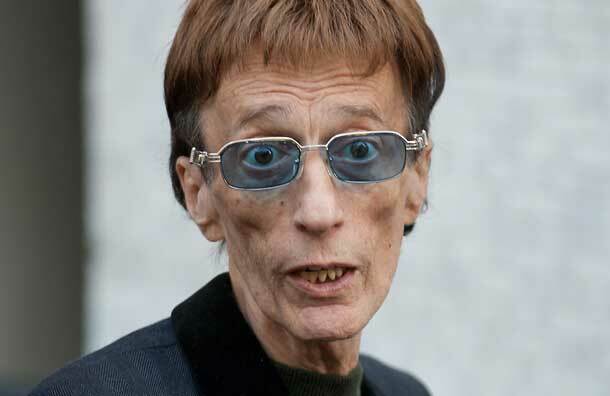 In February, Robin Gibb said he had been making a “spectacular” recovery from cancer but he was later readmitted to hospital for intestinal surgery. Robin Gibb’s family have been keeping vigil at his bedside at a hospital in Chelsea, west London, the Press Association reports. The British-born singer had surgery on his bowel 18 months ago for an unrelated condition, but a tumor was discovered and he was diagnosed with cancer of the colon and later of the liver. It had been thought his cancer was in remission as early as last month. On 11 April, Robin Gibb did not attend the London premiere of his first classical work because of the pneumonia, his son said at the time. Robin Gibb had also been due to perform a new song, called Don’t Cry Alone, at The Titanic Requiem concert.